I really want one of those old mics that attach to your horn through a hole drilled into the barrel. They seem like a good way to mic your instrument and I really like the sound. However, I can't find any on ebay or any mention of them on clarinet sites brought up by a Google search. Where do all those Greek and Macedonian guys get theirs? Anyone have any suggestions, or a spare they'd like to sell? Thanks, gregsquared. I would have thought you would be able to buy them at a music store, however keeping in mind this is old technology and they may no longer be made. There are better mics that you attach on a clip just above the bell, these are much better and the sound quality is superior to what those old barrel mics. Also with the old barrel mics you need to sacrifice one of your barrels, with the new you don't need to drill holes anywhere. Thanks for your response. I've taken most of this stuff into consideration. I have a clip-on mic for my saxophone and it doesn't adapt well to clarinet. It adds too much weight to the end of my horn, and stresses my already overstressed thumb muscles (yes, I already use a strap), as well as making the instrument unwieldy. Also, it doesn't get the range of the instrument very evenly. Further, since I play mostly Greek and Macedonian music, I'm looking for a particular sound. I'm not looking for the sound of an AMT mic, or an SD systems, or even an SM 58 (or 57, I can't remember which is designed for instruments). Actually, what those players usually do is have a barrel mic for all-around mic-ing and use a Shure to really make the sleazy low register jump out. But I'm not so concerned with that here, an SM 57 (or 58, whatever) is easily obtained. As for sacrificing a barrel, well, I've gotten my mind around that idea. If the mic gives the sound that you're looking for, then you're not really sacrificing a barrel. You're just having you're gear modified to help you achieve the results that you want. Since I know some superb techs that I trust to do right with my instrument, I'm not worried about that aspect (in any case, you can always plug up the hole if you need to). There are millions of barrels in the world and to find one that plays as well as the one I currently use (which, by the way, isn't the one that came with my horn) shouldn't be ridiculously difficult. I take it you don't know anybody that has one they'd be willing to sell. But thanks for the advice, anyway. Ciao, gregsquared. The Barcus-Berry trasducer pickup fits the description of what you're looking for. I just checked and there is one on eBay now. Also, try searchs on the Clarinet BBoard and klarinet list. This topic has come up a few times. Hope all is swanky for ya! Have you been able to make any progress with your search for a clarinet pickup? I am in exactly the same situation as you and have been trying to dig up for ages something suitable. 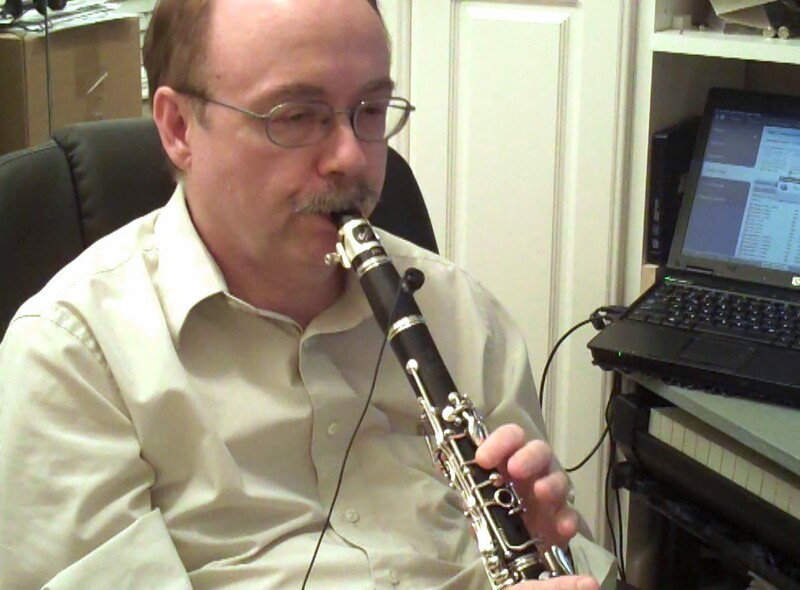 I am currently still stuck using a microphone on a stand to play into which isnt too bad but has its limitations in regards to mobility (as you would know, we clarinet players will swing the instrument) and this does not help with wanting to go cordless or avoiding unnecessary feedback. I have tried using a hypercardiod clip on mic (AKG) and find that it is way too sensitive and feeds back too much; and the extra weight is an issue. I have even tried using a lapel mic like the ones newsreaders have and again the sound is just too high endish and doesnt emphasise the bass end that well. As yourself, im not fussed either on sacrificing a barrel, if worse comes to worse can modify an old one. Ive had to cut down my barrels anyway to keep in tune. I adjust by moving the barrel up or down as needed. I have done extensive I/net searches and have not been able to find any information about these pickups whatsoever. If I could unearth a brand name or anything that would be a start. Please let me know how you go, and also if there are any units that you can use to provide some effects, ie. octave pedals etc. Barcus-Berry had one a few years ago that was supposed to be mounted in the mouthpiece. I did that, an $250 experiment for the mpce and mike. Results are mixed, and I am sure they will be similar for the barrel mikes. I have a decade-old Barcus Berry epoxied into a mouthpiece, but my experience was not optimal. There was an enormous hum, which my friendly neighborhood electronics wizard fixed with better internal grounding in the pre-amp box, and by changing connectors to ones with better shielding. Their newer products may work better. If you want to go this way, check with the manufacturer first. If they install it, you may have some recourse if it doesn't work. 1) Your instrument has to be in top notch shape or your mike will pick up a lot of key click noise. 2) Full notes (3rd line B or low E) will be noticably louder than the throat tones. The only way around this is with an external boom-let mike like the AMT's. 3) These are really good in windy conditions. 4) For those times you don't want to sound exactly like a clarinet, these can be really good for feeding your sound into an effects processor (tube amp, flanger, fuzz tone, overdrive, chorus, or one of the newer DSP boxes that emulate these.) Compression will minimize effect 2 above, but limit your effective volume control, unless your effects box has a volume pedal. there´s no specific Barrel mic excluding Barcus Berry but the sound is really bad. You may laugh now but we ( Macedonian- Turkish & -Greek Gipsys ) use hearing Aid´s or Hear devices. So we prepare this round thing ( Mic ) on the Barrel by using a special selfmade made Screw with an whole which goes throug this screw. Also I´m preparing this screw with an snapring so that this Mic is fitting perfect. It´s really hard to explain that to you via e-mail and my english is really not the best. So I´m really sorry if I cannot explain this to you as you may wish. The cable that you see is a two pin cable. We cut it in a size we need it and soldering it on a normal Banana Cable. no you can plug you clarinet into a wireless system or directly into the Mixer or whatever. That´s the way we play on Weddings and the sound is still perfect. Nobody will get the exact same sound as when you play unplugged but it´s really really close to it and mouch better then a Barcus Berry Mic. Whe you´re thinking about to buy one of this Hearing aid be shure that you ask for a wide spectrum Mic / Aid. They have the best sound. You have also a lot of brands of these king of hering aids. buy Philips or Oticon Aids with two pins. If you stil have any questions please ask. hey everybody.i just wanted to tell you all that there are clarinet barrel mics for sale at www.greek-turkishclarinet.com. Their response e-mail addres is at Phedcorp.com, which appears to be in Temecula, CA. Who are these guys? I have had a Barcus-Berry mouthpiece mike (glued in) for the last decade or more. It is starting to have problems, and I don't think they make it any more. So this barrel mike might be a good alternative. I prefer the SM58, but also have an SM57. How would you compare the sound of the barrel pickup to that of your Shure microphone? Funny, I started this thread about two years ago and I forgot all about it after I found the PT 100. I used it on a gig Saturday night with my band, Ansambl Mastika, and it did just fine. I spent a good long time looking for a barrel mic and when I discovered the PT100 I was ecstatic. It hasn't failed me yet and I've been using it for about a year now. I know people that have paid up to $350 on ebay for vintage barrel mics and hearing aids. The PT 100 is a steal, comparatively. You can spend hundreds or thousands of dollars on a mic that, granted, sounds really good, but it won't give you the same flexibility as a barrel mic. And now you don't need to search high and low for them. I don't have much experience with barrel mics, but it seems obvious that moisture will get it in the end. If you care for your gear, it will last much longer. Don't leave it attached to the barrel, dry it off, etc. I just hope Bass keeps them in production so I can buy another one when mine, inevitably, kicks the bucket. As for the sound quality, if you want perfect reproduction of your tone, then you shouldn't be using a barrel mic or a hearing aid. It's just the limitation of the method of micing, not the mic itself. I use mine with a wireless system that has a two-foot cable with a quarter inch plug on one end and a mini mic plug on the other. I switch back and forth between my sax mic and my clarinet mic by unplugging them at the belt-pack. it works pretty well and I can put a reverb unit or an octaver between the receiver unit and the mixing board or DI using a quarter inch instrument cable. I am curious about one thing, though. Why does the PT100 have a 1/8" jack wired into it. Isn't the general rule of thumb in electrical engineering to avoid connectors as much as possible? But you almost never encounter 1/8" plugs in the world of live sound, so why make a situation that creates a need for an adaptor? What's it about? I ask because I had a problem on a gig one time with a bad 1/8"-1/4" adaptor. Anyway, thanks to Bass for seeing the need in the marketplace and filling it with a quality product. G2. Thanks gregsquared, to answer your question regarding the 1/8 connector, the goal was to keep it as light as possible, and believe it or not the connector weighs more than the mic! anyway, the 1/8 plug was suggested by the pros who were doing the testing for me. you are right though about the problem with adapters, i had the same thing, but mine was a real cheap one. Get yourself an in ear headphone set ( shure, senheiser) . Drill a hole in to your barrel, exactly the same size as the size of your headphone ( they are not larger than 2 mm!). Cut of one of the headphones and fix an xlr connection to it. Put the headphone in the hole and off you go! The headphones membrane will act as a microphone and is able to support extremely high volumes. Beleave me, the sound is amazing and it will cost you no more than 80 dollars!. I have two of the barrel pickups from Vox - bought them in 1972 and can't part with them. They were made based on hearing aids in the 70's and you can't beat the sound. What I noticed with the newer ones is they pick up key sounds, the barrel mics don't. The only bad thing with the barrel mic (mine have this problem) is they crack and they have to be taped up to work. I cannot recommend Bass Poullath's PT barrel mics highly enough. Here's what I wrote on the GTC forum when I tried his PT110SV for the first time on a gig. Since then, he has stopped producing the PT110SV and has released a better system, the PT100PV. And here's what I wrote about this one after my first gig. Bass Poullath also makes the most fantastic barrels from delrin (teflon) that don't change pitch as they warm up and never crack. They are lively and responsive and he can drill and mount a nut to take the pickup. Admittedly, they don't sound as good as a AKG414, or a Neumann U87, but his system is for live use not recording, and beats anything else I've tried for sound, ease of use, minimum cable stuff etc etc. I use mine with a wireless system and it's given me better sound and more freedom that anything else I've tried. I just converted 2 barrel mikes after finding 2 old hearing aids Phillips wide spectrum type and was absolutely amazed at the lovely sound quality. I couldnt believe the realistic sound they made. The prices of the commercial barrel mikes appear to be far too expensive for what they are. I am even thinking of making them to sell but there probably isnt a great demand. Freddy: Where do you get them? I play Macedonian music. I've seen so many players having these barrel mics. Is there anywhere that I can buy one? Stan: the Shure SE110 shows as an earphone, not a mike. How does this work? Many speakers will double as mics and vice versa depending on the technology. I remember an old 1960's Radio Shack plan for build it yourself walkie talkies that used cheapo speakers that way, and I think a lot of factory units pull that trick also. But it never sounded as good as an actual mic. So when I read somewhere about using the Shure SE110 as a mic I was skeptical but figured it was worth a shot. And the sound quality just blew me away. You do have to EQ to make it sound right, but that's true of any mic. I also wondered whether articulation would be captured well, so I compared to recording from an external mic. The barrel mic was better. I caught a couple pair of 110's on eBay at about $20 each, but even at $50+ it's a great deal. I'm sure other earphones would work also, perhaps even better. But I wasn't in the mood to experiment. Give me something that works and I can move on to creating and capturing music. save yourself the trouble, get professionally made barrel pickups that comes with one year warranty. these mics have been designed and tested by professionals around the world. Seems the price has doubled on the gtc-music1.com/store. It's now $260 instead of $135 as was mentioned before. Does anyone have any experience with the Pasoana pickups? The MK2.0 is $162 with delivery, though it doesn't have a volume control, which I'm fine with. > now $260 instead of $135 as was mentioned before. > Does anyone have any experience with the Pasoana pickups? > volume control, which I'm fine with. Ralph, thanks for your reply. I might just get the Pasoana. I want to use it for my DJ gigs where I play on top of pre-recorded tracks with the main speakers facing me from the other side of the room (can't use a regular mic because of feedback). The clarinet sounds so loud when I'm playing it at home, but it completely disappears on the dance floor. TAP electronics looks like they've done a good deal of research and experimentation. The selection is very impressive. I couldn't find a place to buy them online though (I live in US/California). I might drop by my local clarinet shop and ask what the guy thinks about barrel mics. He seems extremely experienced. Bass, it seems just too much to pay nearly $400 for what in materials is nowhere near that. If you would sell it for $160, I (and I imagine many others) would buy it and you would still make a considerable profit. Also, the forums are littered with your posts to your store (in this thread alone it appears 7 times). That's a big turn-off for me. If something is quality, it doesn't need to be promoted in a spam-like fashion. spam! its my forum and my store what do you expect? besides no one is forcing you to buy anything, you can do whatever makes you happy but no need to be insulting, you don't know a thing about how i run my business and you have no clue how i take care of my customers. there are used mikes out there that sells for up to $2000, and you are complaining about $395 for a top of the line brand new mic?! do you have any idea how much money and time it takes to develop a product? obviously you are ignorant of how business runs! good luck, and remember, you get what you pay for. Funny. I allow no "spam" in these forums; however, I encourage manufacturers to answer questions or make suggestions when the thread is relevant - and they have to disclose their interest in the product. Whether or not you think the mic is worth what is charged is a topic for a different discussion, but to charge that an accurate answer from someone who might know a thing or two is "spam" begs the question of how your understanding of spam (unwanted messages and/ or information) differs from mine. I registered a music copyright to the library of congress once and suddenly I kept getting junk mail offers for CD-making services, recording, marketing and promotion companies. I never asked for any CD-making services, recording or music marketing, but I kept getting this sort of mail in my box. To me that is junk, or spam. How Bass is replying with always trying to promote his store if anyone asks any question even closely related to a barrel mic seemed to feel a little like that. Spam-like. Perhaps not to other people, so sorry if it seemed insulting. I was just trying to get clarity on some other alternatives. By getting upset, yelling and calling them ignorant? Seems hardly an appropriate response. I get the idea of kind of service I would receive if I buy from you. No thanks. I've enjoyed reading this thread from top to bottom. It's the most informative one I've found so far but I'm bit disappointed that no one has brought up the lower clarinets. I play upright bass in several jazz and folk groups and I would like to incorporate my contrabass clarinet into these groups, ideally using my same bass amp. I have heard bass clarinets solo with what looks like these same pickups but attached to the neck instead of the barrel but I have never heard a contrabass with one of these mics. Can anyone shed some light or share anything on mics and contrabass clarinet.? You will need a piece of threaded tube silver-soldered to your neck to accept a pickup, which can be replaced with a small bolt when not in use. Poster "clarnibass" here has done that. Hello there! I came across this forum when looking for a clarinet pick up recently and get the impression you guys know what you're talking about. I hope someone can help me with this query. Anyway my query is this: what sort of lead should I be using to connect the pick up to the amp/PA mixing desk - a 'microphone' cable? a guitar (instrument) cable? or 'speaker' cable? maybe I'm being overly perfectionist here but I'm looking for something which will do the best job. Looking forward to hearing any advice you might have on this one. Where do I find the 2 pin pickup wires? I'm looking for i nice thick black one but have not been able to find one. Hi- I'm just following up on my earlier post. I've been using my Shure SE110's hand mounted to drilled barrels for over 2 years now. My daily hour of practice is mic'd into my laptop (Sonar 5) for some wonderful reverb through my speakers- just like playing in a nice auditorium, AND I record (and video) almost every "take" of all my active arrangements. That way when I get a good take it's already in the can! And when I do perform "live" I plug the mic into the sound system and the guys on the board are happy. I do have periodic issues with the mics. Much of my early troubles were with getting good connections on the back end (where I plug into system), and avoiding shorts and such from the constant flexing of the cables. Several times that I thought the mic (earphone) had gone bad it turned out to be a cable or plug issue. Now that's the first place I look. But I do have occasional problems with the mics themselves. Sometimes the volume level will drop considerably, and stay that way for days or weeks (I switch to another one and let the flaky one rest), then come back good as new. I think that may be moisture (spit) that got down in there and took a while to dry- that can't be good for it- how many times could it survive that? I've tried to blast with canned air to clear it- no change. SO... I always want to have 2 barrels ready with working mics. I can go months (hundreds of hours of play!) on 1 barrel/mic with no problems. At the moment one has the "low volume" issue, so I'm probably going to see if I can assemble a 3rd one from my spare parts. I'd rather not have to spend another $80 for a new SE110 (which does give me 2 mics), I try to catch the occasional $30 SE110's on eBay, no such luck today. Here's my newest posting on YouTube recorded this way: http://www.youtube.com/watch?v=g9PkAAGOSjU&feature=youtu.be. Stan, IME no matter how good a pickup is, it doesn't sound the same as a good microphone in a good position (at least with what's available now). For "regular" recordings and some live concerts I use microphones (whatever the sound engineer bring). Sometimes two microphones. For recordings usually condensers and for live usually dynamics. I have a few clip on clarinet mics (AMT double mic and a couple of single mics) but most of the time prefer not to use them. I use the pickup whenever I use effect pedals, when the sound doesn't matter in that way (e.g. really loud rock/electronic) or when nothing else would work (feedback, volume, etc.). I don't use it for recordings unless I use effects or it's a live recording of something that requires the pickup anyway. I have a TAP and re choosing by trying the different models... unless you're there it's not really posssible. I just chose/gambled based on the short samples on their website, all of which sound significantly different from when I use mine BTW. On a soprano clarinet I don't have the problem that Ralph mentioned of some notes being louder, at least not enoguh to cause an issue at all. On bass clarinet some notes are a litte different, mostly in the lower range below the soprano clarinet range. It still works fine and I use it mostly on a bass clarinet. Any pickup would have more key noise but sometimes this is an advantage and I use it on purpose for the music. I wouldn't silver solder it. I actually made a plastic tube and epoxied it to the neck, but if soldering I would use regular soft solder or silver/tin (leadless) soft solder.